I've been taking a bit of a nail polish break because my nails are really sensitive and I was having a bad reaction to either the nail polish I was using or the nail polish remover. So I haven't really been wearing or buying any new ones. But when I was in New York with my friends shopping, I stumbled across the new Marc Jacobs line at Sephora and fell in love with the nail polishes there! I love the cute round and smooth bottles and the colors are gorgeous! I found the last Gatsby one which I loved the look of in the bottle but I don't love it as much on. Application was kinda difficult with streaks and cuticle drags. And the color was a bit pinker on me than I thought it would be. 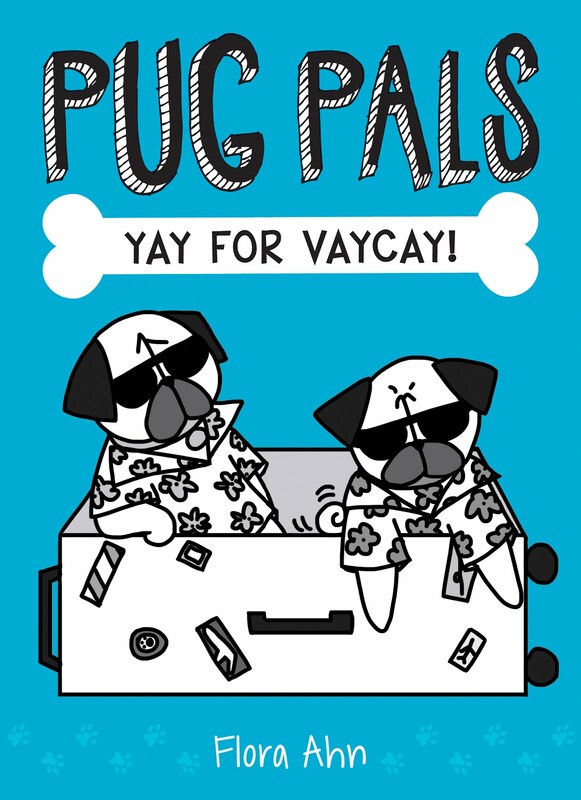 I think Gatsby should be more silver to go with the whole art deco look. But once on it was pretty, just not what I was expecting. I got some other colors and the other ones had way better application. I know metallic polishes can be difficult so I was expecting the streaks, but I was disappointed with how thick it was and the cuticle drag issue for such a pricy polish. 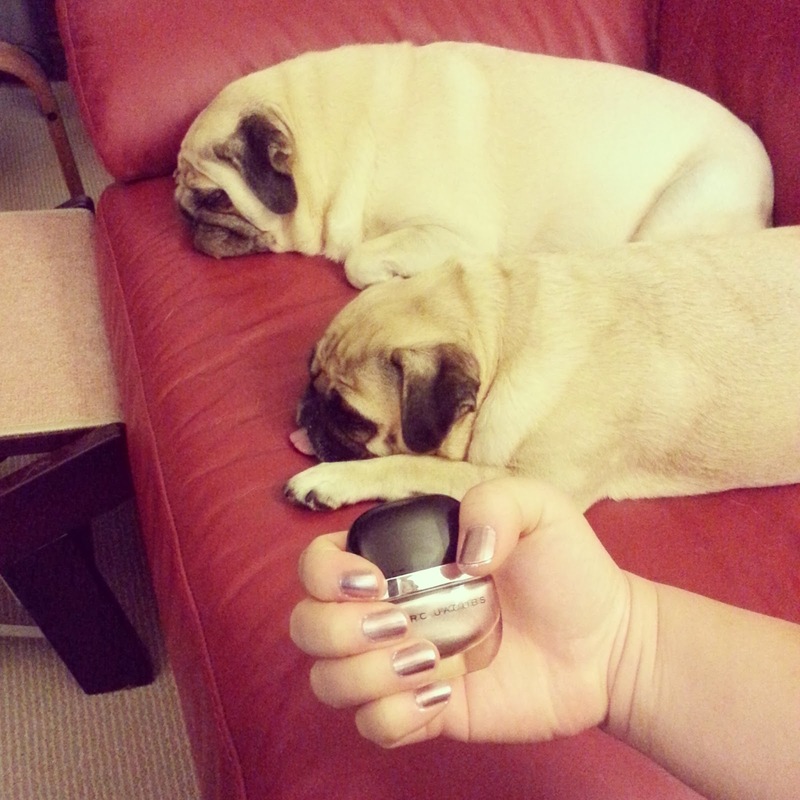 Here's me modeling the polish with the bottle and two lazy lazy pugs. I'll post the other Marc Jacobs polishes I got another time.